Currently in database: 1303 contests, 2781 pilots and 1679 planes. Browse the contest results. You can find here FAI/CIVA official world championships, national championships and regionals. You can go back even to 1927. You can browse all the pilots from specific countries, finding pilots take part in any aerobatic contest. 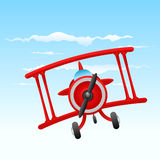 Find all the aerobatic planes appearing at any aerobatic contest. See how they are used from pilots over the years.